Canary is an American company that is making ground breaking changes to the world of home security. The Canary online store supplies a range of all-in-one home security systems and accessories that help keep your home protected and untouched. With Big Apple Buddy’s personal shopping service, you can now buy direct from the Canary online store anytime, anywhere. Be everywhere at once. There is no need for teleportation with the purchase of the new Canary Flex security camera you can have an eye in every corner without moving from your desk. This wireless HD product is built to withstand all weather elements rain, snow and shine. The device can be mounted just about anywhere, on your walls, within cabinets to find out who the resident cookie monster is, or even outside of your door to see if the postman really did ring when they said they did. The Canary Flex’s ground breaking technology is perfect for multitaskers and those with busy schedules; you can view the live security camera footage form your phone anywhere at anytime, and it all comes in a compact easy to hide miniature device. Imagine being able to police and protect your house from halfway around the world. The Canary allows you to do so! The canary syncs up with your phone within seconds, where you can then control a built in Siren and live stream audio and video to your phone. You are even given the option to connect with the local police, fire department, or ambulance through the canary app. 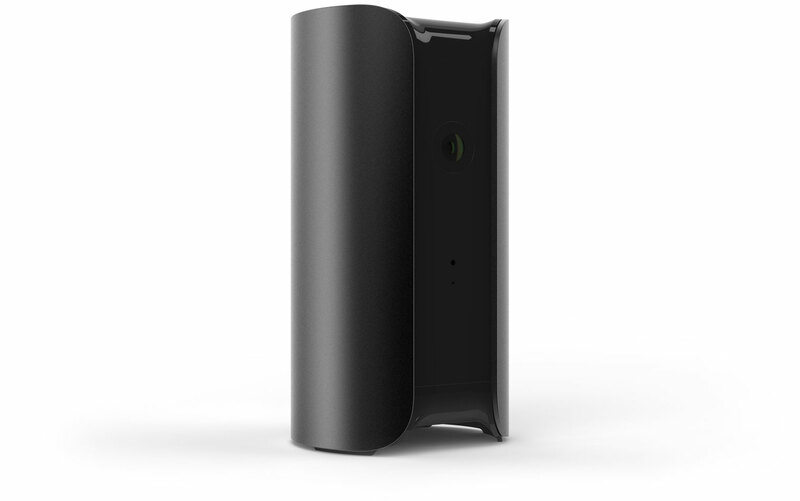 Unlike most security systems whose technology doesn’t account for a wide variety happenstance, the canary automatically arms and disarms wen family members come and go.Working late in the office and worried that you’re security camera won’t be able to catch thieves in the night? This won’t be a problem for the canary which records high definition video at all hours of the day. Danger doesn’t stop for location. Anything can happen anywhere at any time. Canary has thought of the perfect solution. The Stake Mount is an accessory used to mount the Canary security camera within bushes and plants. Many burglars have caught on to the common “hidden” spaces of security cameras. However, the stake mount allows you to up the ante and safely place your device within plant vases and bushes while still picking up high quality video and audio. Not to worry, the mount does a great job of camouflaging itself and is built to withstand intense water and sunlight. Unfortunately, the USA Canary online store does not currently offer international shipping. However, Big Apple Buddy, your personal shopper, can help you buy products direct from the official USA Canary online store and ship them to your doorstep, no matter where you are in the world. We offer international shipping to over 110 countries including Australia, Austria, Belgium, Canada, Denmark, France, Germany, Hong Kong, Ireland, Israel, Italy, Japan, Kuwait, Malaysia, the Netherlands, New Zealand, Norway, Saudi Arabia, Singapore, Spain, South Africa, Sweden, Switzerland, Taiwan, Thailand, the United Arab Emirates and the UK. If you would like to buy from the USA Canary online store, simply let us know which items you would like to order (by filling out the form on the right) and we’ll get back to you with a free international shipping quote within 24 hours!